US crude imports from Venezuela hit zero last week. Venezuela crude exports are moving lower, but there’s no collapse. The volume is simply being shifted to China and India, so a swift regime change in Venezuela is unlikely. This is really bad news for US refineries as the heavy crude shortage worsens. Welcome to the hurt but not dead edition of Oil Markets Daily! Venezuela crude exports are being impacted by the US sanctions. 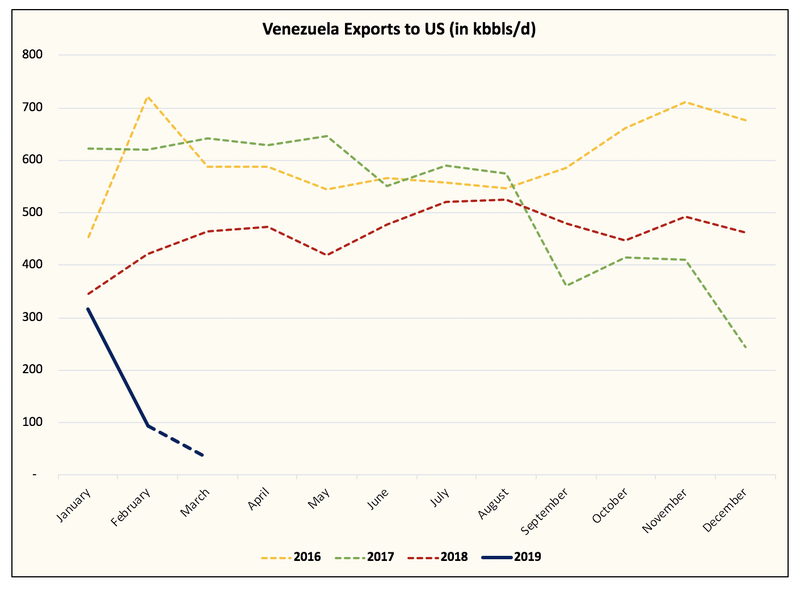 EIA also reported that US crude imports from Venezuela hit zero last week. This is somewhat expected as Venezuela exports to the US will likely drop close to zero by April, so US crude storage balance will have lost a steady ~3.5 mbbls per week going forward. But if you thought Venezuela’s crude exports would collapse because of the sanctions, then you have to think again. While the data shows that Venezuela’s crude exports will move to sub ~1 mb/d for March, and exports to the US will gravitate towards zero. The volume is simply being shifted from the US to China and India. 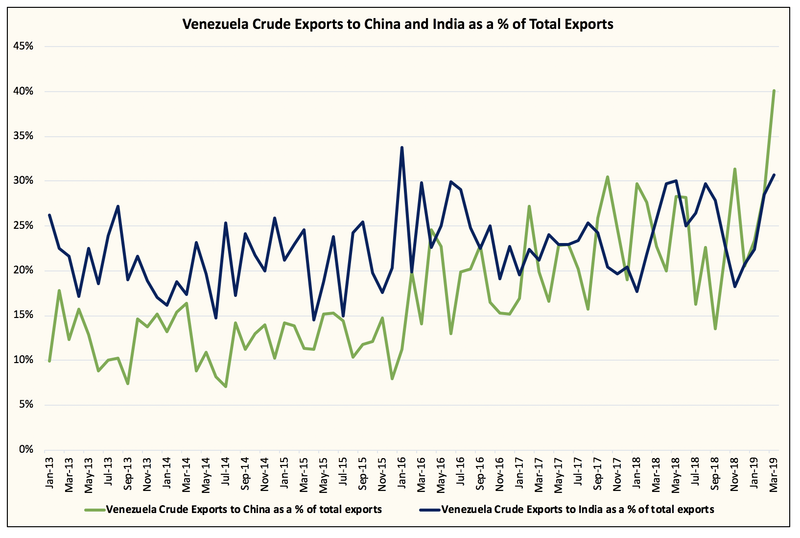 You can see that China is now taking a proportionally larger percentage of Venezuela’s crude exports. 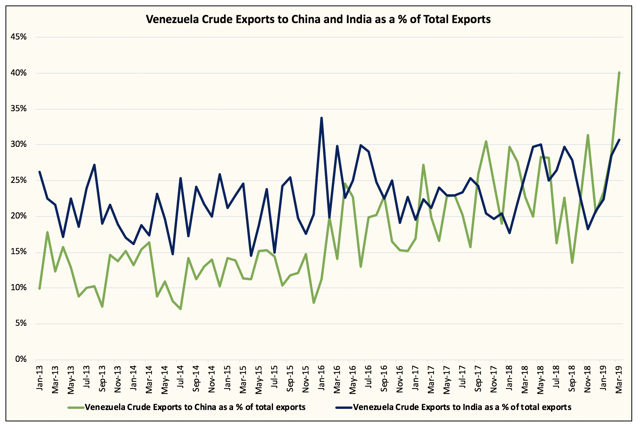 As a result, it won’t matter if US applies another layer of sanctions on Venezuela, because China and India will likely continue importing Venezuela crude.